Despite playing no international matches over the past month, coach Park Hang-Seo’s troops have remained as world no. 102 with 1,220 points, ahead of the Philippines (world no. 116, 1171 points) and Thailand (world no. 121, 1154 points). The teams placing next in Southeast Asia are Myanmar (world no. 141, 1080 points), Indonesia (world no. 160, 1004 points), Singapore (world no. 165, 991 points), Malaysia (world no. 169, 974 points), Cambodia (world no. 170, 973 points), Laos (world no. 181, 937 points), Timor Leste (world no. 191, 910 points), and Brunei (world no. 196, 903 points). Iran continues to lead the Asian rankings as world no. 30, followed by Australia (world no. 42), Japan (world no. 50), and the Republic of Korea (world no. 53). Vietnam stands in 17th place in the continental ladders, right above the Democratic People’s Republic of Korea (world no. 110). France no longer shares the world’s dominant position this month, dropping one place to second with 1732 points, just one point fewer than that of world no. 1 Belgium. A total of 162 national-level matches took place over the past month, with Palestine, the Philippines, and Tajikistan playing the most games, at four. Zimbabwe reported the biggest leap in the October FIFA table with 24 places, followed by Gibraltar with eight notches. 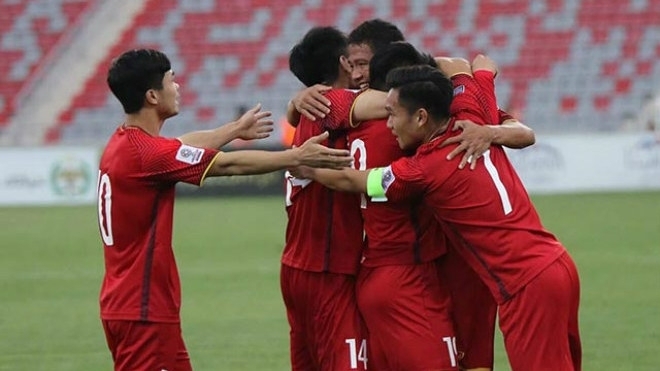 Coach Park Hang-Seo and his Vietnam national football team are currently on training at the Paju football centre in the Republic of Korea (ROK) to prepare for the upcoming ASEAN Football Federation (AFF) Championship – AFF Suzuki Cup 2018, scheduled to take place between November 8 and December 15.